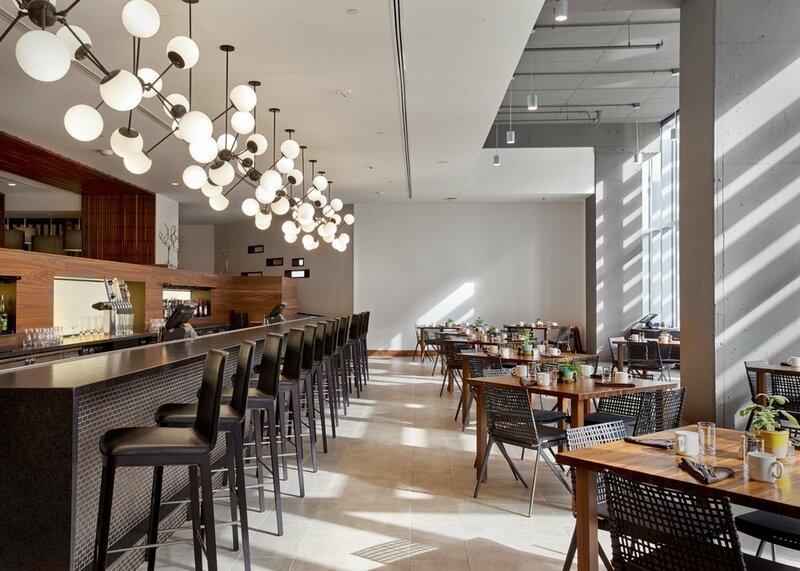 experience through Ohio-sourced products from local suppliers and farmers. Spring into Easter at The Burnham! We will be serving our breakfast menu, featuring our egg-ceptional breakfast buffet with cooked-to-order cage-free eggs and omelets, from 6:30am-12:00pm, and we will be serving our lunch menu from 12:00pm-3:00pm. Not hungry? Come on by with your peeps to check out our mimosa bar (!!) as well. to book your table for you and some-bunny you love! WATCH THE SUN RISE OVER THE CLEVELAND MALL AS YOU SAVOR YOUR MORNING COFFEE. Artfully designed dishes any time of day. Take a look, get hungry, join us. Chef Justine serves her pear pie warm in a rock sugar crust with stewed berry jus and Mitchell’s vanilla bean ice cream. We are proud to feature Ohio’s very own The Chef’s Garden® roasted vegetables as a side dish at dinner. The Chef’s Garden® is the nation’s leading grower of artisanal produce, specializing in microgreens, heirloom vegetables, specialty lettuces, and edible flowers. Offerings will vary seasonally, but we are particularly fond of their miniature vegetables, which you see here. Click through to learn more about The Chef’s Garden®! 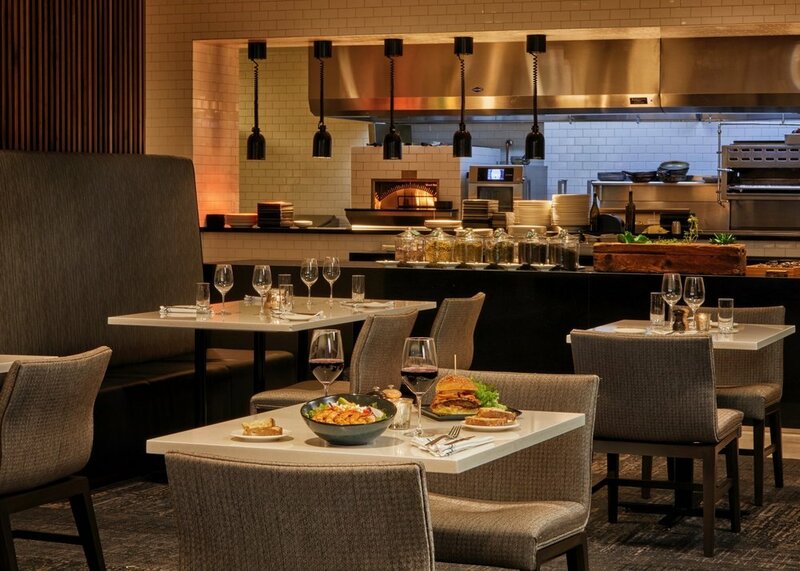 One of our guests’ favorite new additions to the downtown lunch scene is our Spinach Artichoke Grilled Cheese. Toasted brioche is smothered in our homemade spinach-artichoke dip and boursin cheese before being topped with roasted red pepper. Need a little more meat in your life? We’ll be happy to add bacon to it for you. All sandwiches come with a choice of french fries, chips, a side salad, or a fruit salad. You can also substitute a cup of soup! Chef Justine serves this tart over pumpkin seed butter, chocolate rope, and chocolate hazelnut mousse. 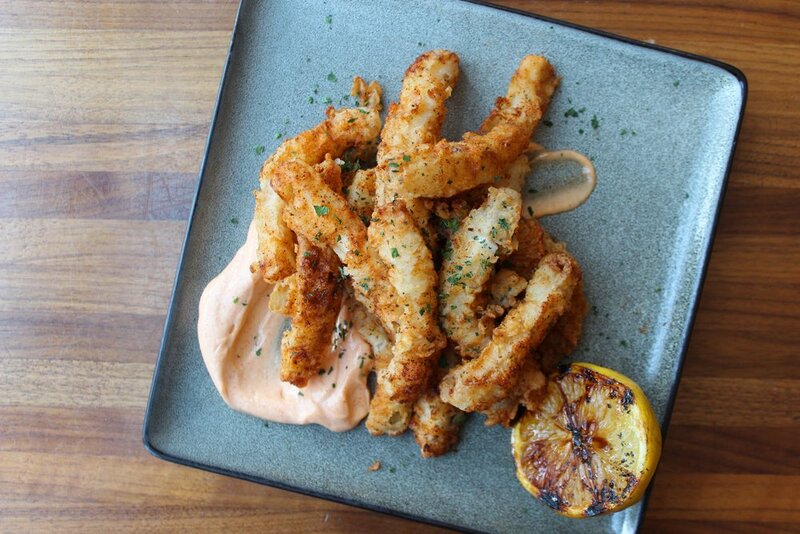 Soaked in buttermilk and lightly breaded, we add banana peppers to the mix before frying. Served with a smoked paprika aioli. Our house salad is available at lunch and dinner and is made with Cleveland-grown Green City Growers living lettuce. This lettuce is grown in a 3.25-acres-under-glass hydroponic greenhouse in Cleveland’s Central neighborhood. 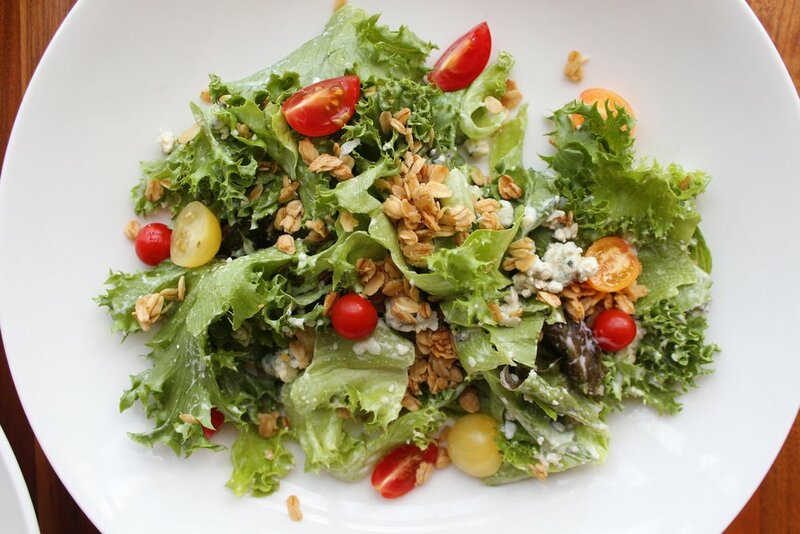 We serve it with heirloom tomatoes, blue cheese, honey clusters, and our homemade vidalia onion dressing. You can add chicken, shrimp, salmon, or steak to any of our salads at lunch and dinner. Chef Justine serves her sweet potato cheesecake over an oat crust with burnt honey, pecan caramel, and toasted marshmallow fluff. These eggs benedict have been with us since the very beginning! We start with buttermilk biscuits baked fresh daily, pile it high with housemade Ohio CAB pastrami, top it with a poached egg, and top it off with rich hollandaise sauce. They’re the stuff dreams are made of - you’ve never had eggs benny like these! We are proud to only serve cage-free eggs here at The Burnham. We offer cooked-to-order eggs and three-egg omelets daily, with a choice of three ingredients (roasted peppers, spinach, mushrooms, onions, oven-fired tomatoes, asparagus, ham, or sausage) and choice of cheese (cheddar, feta, Gruyére, goat cheese). 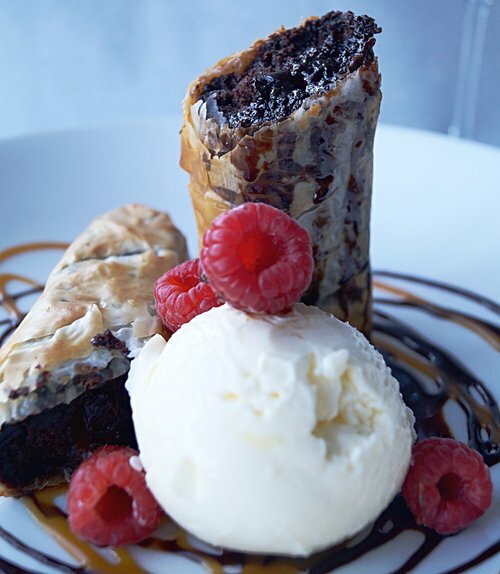 Chef Justine wraps this decadent chocolate brownie in buttered phyllo with milk chocolate ganache and serves it warm with Mitchell’s ice cream. Follow us on social media for up-to-the-minute news and events.